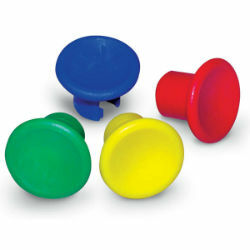 Colored knobs for 25 ml. and 50 ml. repeater syringes by NJ Phillips. Pack of four includes red, blue, yellow, and green.